Beautifully smooth and sweet organic balsamic vinegar with a delicate kick of bitter-sharp flavour. 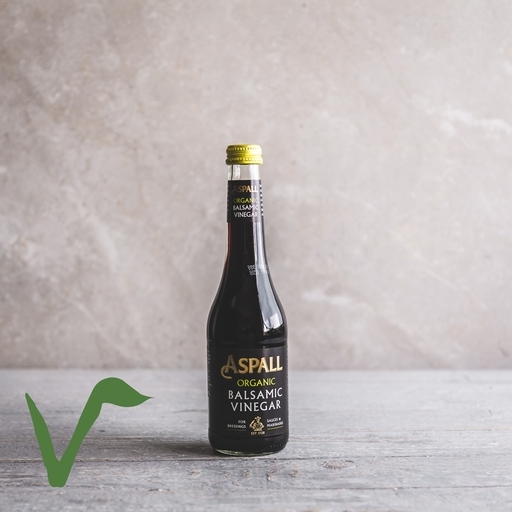 This award-winning Aspall vinegar brings all manner of dressings, marinades and sauces to life. Splash over roasted veg, add a spoonful to tomato sauce, drizzle over fresh strawberries or pair with peppery olive oil for dipping with bread.